Whether you’re a serious or hobby numismatist, or an investor looking to build your wealth, silver coins can be a great investment. Currently, market analysts have become increasingly bullish on silver as an investment option and 2018 is predicted to be a good year for the precious metal. Interestingly, silver with its significantly lower price parity when compared to gold, offers investors a great gateway to building a precious metals portfolio at a fraction of the price of gold. How can I buy Silver Coins VAT free? It’s always surprised us how the VAT charge on silver hasn’t put most silver investors off. Unlike buying investment grade gold coins and bars, there is no VAT exemption for investment grade silver in the EU. For this reason, buying silver has historically meant incurring a 20% charge upon buying the silver coins or bars. The fact that the number of silver investors has grown exponentially over the past 5 years despite the VAT charge, demonstrates how much faith the investment community has in silver’s huge price gain potential. Can we get around this? Initially, we stuck to selling gold. After all, our speciality is offering precious metals as an investment, and we felt being 20% down at the beginning wasn’t a good place to start. Due to the growing number of enquiries we received, we decided to seek solutions, especially as our USP is tax efficient solutions. Our first foray was to offer silver bars held offshore in a vault. Avoiding bringing the silver onshore, meant no VAT was incurred. This proved popular but it didn’t suit everyone. Some customers wanted to receive their silver, some wished to buy silver coins, and others were simply put off by ongoing storage fees. As always, we didn’t want to give up, so we spent 9 months with VAT specialists to come up with VAT free silver coins. Now, ordering exclusively through our portal, will enable customers to buy silver coins VAT-Free and have them delivered to their home. The coins have to have a face value and be sourced in such a way that the supply chain triggers an EU double taxation treaty. We’ve even managed to roll this out to some very special silver bars which also boast a face value and so qualify for delivery without VAT. Savvy investors always turn to precious metals in order to hedge their risks and silver is an excellent choice for this purpose. In fact, historically, silver has always been a popular choice for coinage across the world. Why is silver used to make coins? Silver is a popular metal for coinage, owing to its fungibility. Fungibility is the property of any commodity, where similar amounts of the commodity can be traded for each other, irrespective of its shape, size or form. If the value of both the traded items remains constant, the commodity is said to be fungible. In this case, 500 grams of silver can be simply exchanged for another 500 grams of the metal, in the form of bars, coins or any other form. Since the value of silver is calculated by the spot price per troy ounce, the two tradable items are considered to be interchangeable. Apart from this, the other reasons for the popularity of silver for coinage are that silver is compact, easy to store and move and it’s density ensures that small quantities of the metal have high value. It is very durable and does not corrode easily. In addition to these factors, the metal is easily transformed from bars to coins and vice versa, through melting. Silver coins are a popular investment option since storage is easy owing to their size. Like all other coins of numismatic or bullion value, they come packaged in their slabs. Buyers should always check that the slabs are intact at the time of delivery. Not only does this indicate that the coins have not been tampered with, they need to remain in their packaging in order to retain their value. Coins removed from their slabs can fetch a lower resale price, and it’s important to know this before investing in silver. As a silver buyer, it’s important for you to know certain facts about investing in silver coins before making your purchase. Upon receiving your silver coins from your dealer or the mint, you need to first establish the authenticity of the coins. Of course, if it’s arrived along with a certificate from a reputed dealer, and you’ve already verified the seller, simply retain the coins in their packaging. But, let’s assume you’ve bought them at an auction. Then, you need to ensure that the coins are legit. There are many ways to do this. There is a device called the Fisch tester which ascertains the actual age of the coins by testing them. These tests are based on weight and dimensions. An alternate method is to check the conductivity factor. As silver is a great conductor of heat, placing an ice cube on a coin will likely see the coin melting fast as the heat is transmitted to the coin. 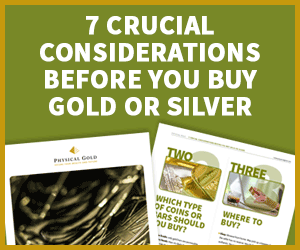 The process of buying silver coins from Physical Gold couldn’t be easier. All you need to do is open an account online. Next, you need to browse through the site and add the tax-free silver coins (such as sovereigns and Britannias) of your choice to your basket. Once you’re done, you can simply check out using your credit or debit card. Your transaction is protected by our 3D secure authentication process. Remember, coins and bars cannot be clubbed together, and you will need to purchase them separately, although you can speak to us about pricing for bulk purchases. Your coins will then reach your address via a courier service that is completely insured to protect your investment. If you need guidance at any point in time, all you need to do is call us on 020 7060 9992 or email us. A member of our helpful team will be in touch with you right away. Happy investing! This entry was posted in Blog, Guides and tagged buy silver, Silver Coins.